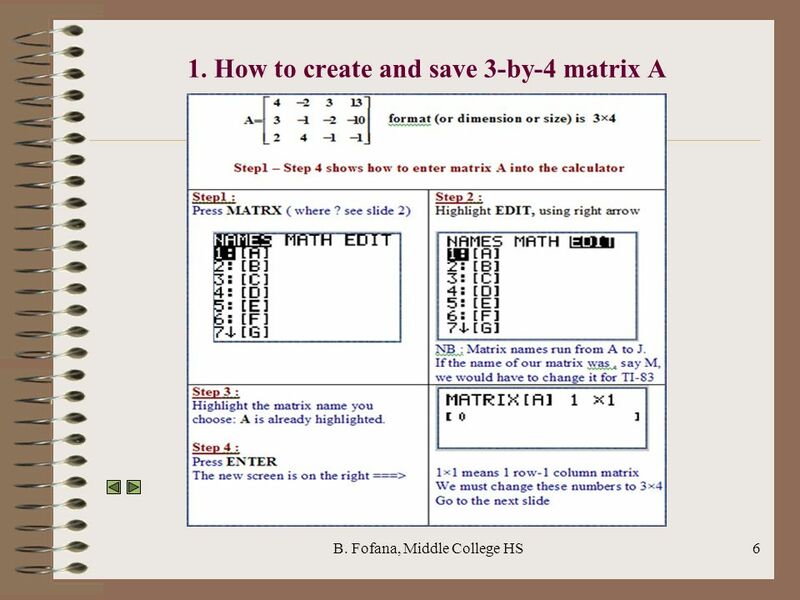 B. Fofana, Middle College HS1 OPERATIONS ON MATRICES USING TI-83 Objective : 1.How to create and save a matrix 2.How to add two matrices 3.How to multiply. 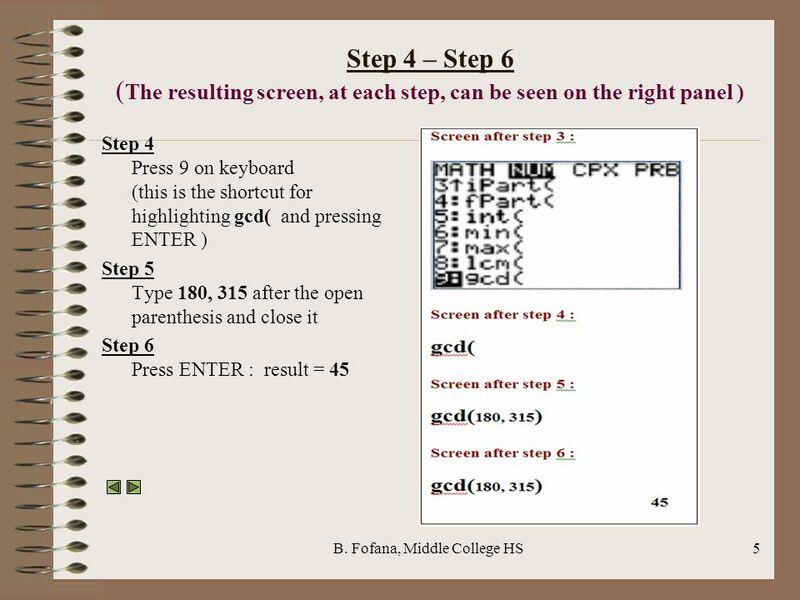 Download ppt "B. Fofana, Middle College HS1 OPERATIONS ON MATRICES USING TI-83 Objective : 1.How to create and save a matrix 2.How to add two matrices 3.How to multiply." How to Log on & Log off of a Laptop and why it’s important. Create the cover page by inserting clip art, WordArt, and text. Triple-click and enter your name here. Do not press the delete key! Triple-click and enter. The Windows 7 Desktop you are familiar with is still here with a few differences. This is still where you find the most common apps like Word, Internet. By Ed MacKeen Students will Learn: Objectives: To type a document in Microsoft Word and to save it. 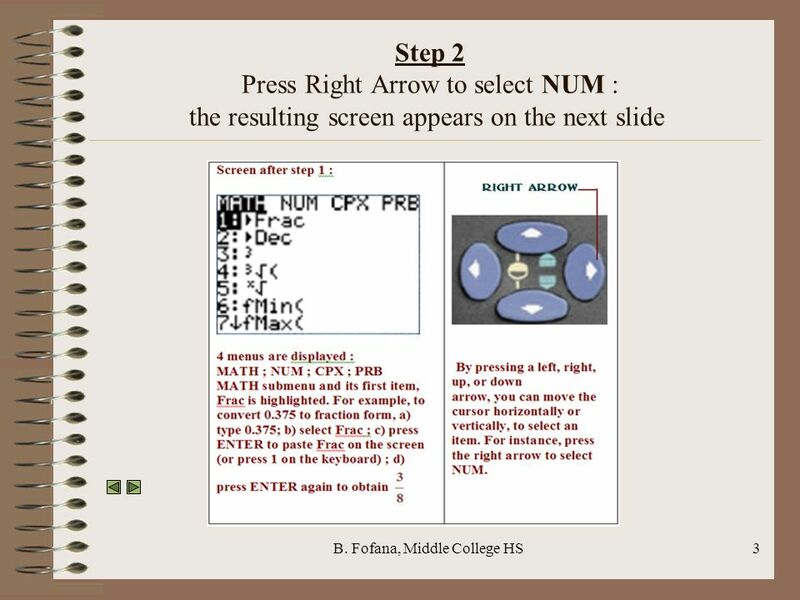 Use the Center button to center text. Use the Bold. Getting Started with Microsoft PowerPoint. Typing Text □The first slide in PowerPoint is always your Title Slide □The first box is for your title; the. 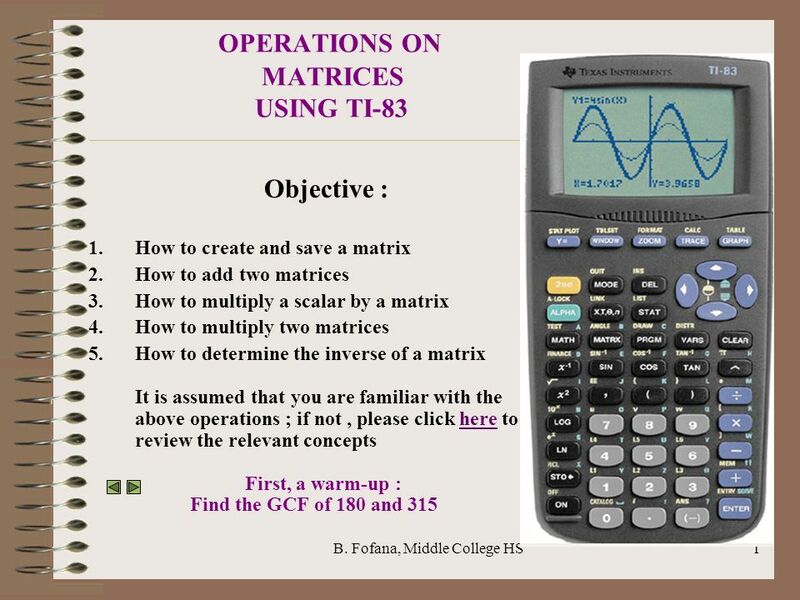 Texas Instruments TI-83 Plus Graphing Calculator Basic Operations. Jacqueline A. Gill, Associate Professor PowerPoint 101 CREATING POWERPOINT TUTORIALS FOR BI CITY COLLEGE LIBRARIES. Table of Contents Matrices - Multiplication Assume that matrix A is of order m  n and matrix B is of order p  q. To determine whether or not A can be. Table of Contents Matrices - Inverse of a 2  2 Matrix To find the inverse of a 2  2 matrix, use the following pattern. Let matrix A be given by... Then. Table of Contents Matrices - Calculator Operations The graphing calculator can be used to do a variety of matrix calculations, as shown in the following. File Management and Organisation © Copyright William Rowan 2007. Warm-Up Solving Systems of Equations Learning Targets l Refresher on solving systems of equations l Matrices –Operations –Uses –Reduced Row Echelon. 3x3 matrices IB SL/HL maths 3x3 Matrices By the end of this lesson you will be able to: find the determinant of a 3x3 matrix without. Creating an Ebrary Bookshelf Click Here to Start Tutorial There are 15 slides in this tutorial. 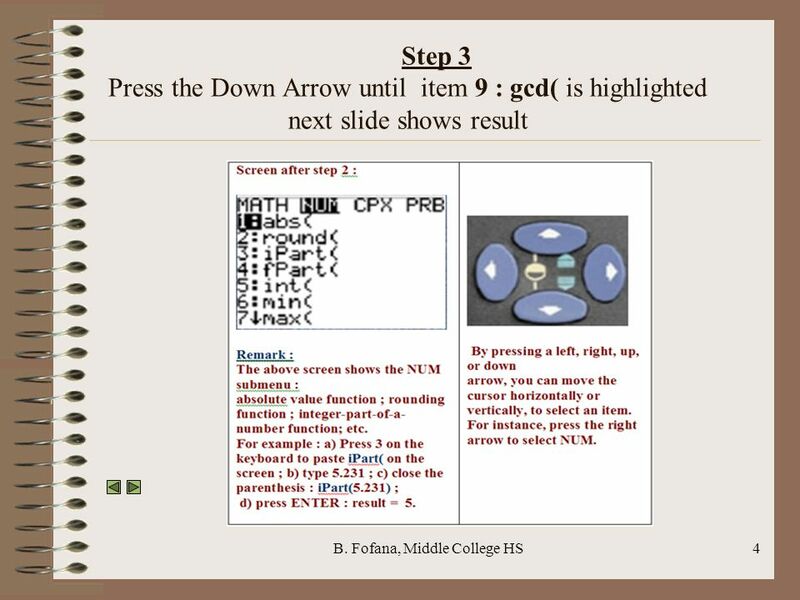 Click where directed on the screen to advance the tutorial.